Kenneth H. Kennedy was born in Louisville, Kentucky. 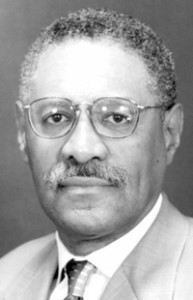 He graduated from Louisville’s Central High School in 1961 and entered the University of Kentucky studying civil engineering in September of the same year. In 1963, he withdrew from school in order to work full-time for the Kentucky Department of Highways. In January 1966, he returned to the University of Kentucky to continue his undergraduate studies. He received a Bachelor of Science degree in Civil Engineering in December 1968. An active student leader at UK, he was treasurer of the National Society of Professional Engineers, a member of Chi Epsilon civil engineering honor society, and a member of the American Society of Civil Engineers and Institute of Transportation Engineers. He would later earn an Executive Master of Business Administration degree from Washington University, St. Louis, Missouri. After receiving his undergraduate degree, Mr. Kennedy worked as an engineer for the Commonwealth of Kentucky. In 1972 he joined Mallinckrodt, Inc. as a maintenance engineer. At Mallinckrodt, he was promoted first to utilities supervisor in 1973, and later to personnel manager in 1976. Mr. Kennedy left Mallinckrodt, Inc. in 1979 to accept a position as senior engineering specialist for the Monsanto Corporation, at its W. G. Krummrich plant in Illinois. Between 1980-1985, he was promoted to the plant’s maintenance superintendent and later its manufacturing superintendent. In 1985 he was appointed plant manager of Monsanto’s Long Beach plant followed by his naming as plant manager of the company’s J.F. Queeny plant. Advancing within the Monsanto corporate ranks, he was named business manager of Chlorobenzenes in Monsanto Chemical Company in 1990. As such, he was responsible for the worldwide marketing of Monsanto’s Chlorobenzene line of products. He was next appointed director of World Headquarters Site Administration in January 1992. The unit was reorganized and renamed Business and Research Support Services with Mr. Kennedy as its director. In this position, he led the engineering, maintenance, operations and services required for Monsanto’s World Headquarters and its Research Headquarters. Simultaneously, he was appointed to Monsanto’s Worldwide Manufacturing Management Council (Council of Manufacturing Leadership) on which he served until his retirement. In March 1994, Mr. Kennedy was named corporate director, Safety and Environmental Health, where he led all safety and industrial hygiene operations. At the same time, he was named to Monsanto’s Management Council consisting of the top 100 executives of the corporation, worldwide. Mr. Kennedy was named vice president, Environment, Safety and Health Services the following year. In this position, he developed the overall plan and implemented the reorganization of all Monsanto Environment, Safety and Health Staff entities into one corporate unit. He implemented cost savings of $10 million and reduced manpower by 20 percent during this restructuring. He retired from Monsanto in July 1996. In March 1998, Mr. Kennedy decided to forego retirement to serve as executive director of the non-profit organization The Cornerstone Partnership. This public/private high technology training facility provides opportunities for urban youth and laid-off workers to obtain skill training, employment and continuous career development in manufacturing. At the same time the program aims to maximize each individual’s potential and enhance the global competitiveness of St. Louis industry. Mr. Kennedy has played an active role with numerous community organizations. He has served on the board of directors of the University of Missouri – St. Louis, Girl Scout Council of Greater St. Louis, Boys Club of St. Louis, the Providence Program and Inroads – Los Angeles. Of particular interest is his involvement in Girls, Incorporated – St. Louis, a youth organization providing educational enhancement in math, science, computer technology, reading, and career exploration. Professionally, Mr. Kennedy’s numerous activities include serving as an officer and member of the board of directors for the Chemical Industry Council of California. Mr. Kennedy and his wife, the former Elsie Bullock, have three children. Ken, Jr., Karen, and Kevin. The two divide their time between their homes in San Antonio, Texas and St. Louis, Missouri.